Way back in the day I had a bakery in Stowe, Vermont called Baker’s Dozen. I was a very good baker and lousy business woman. I opened the bakery in 1979. I made croissants, danish and two types of bread every day. The other pastries were baked in rotation. One all time favorite were florentine cookies. Florentine cookies are a lacy, crisp wafer that’s dipped in chocolate. This year I wanted to include florentines in my Christmas baskets. Alas, I lost my cookbooks when the city of New York repossessed my car because of ten years of unpaid parking tickets. (I was changing jobs and had them in the hatchback of my car the night it was towed.) I remember being pissed because they towed it on a day that I found an incredible parking space. A feat when living in Manhattan. 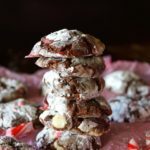 So I searched for a recipe that mimicked my old tried and true florentine cookie recipe. 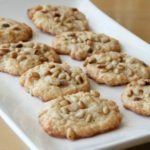 On my journey I happened upon a florentine recipe on Epicurious. The recipe and the process seemed about right. So I baked a batch. They weren’t the lacy, thin crisps of yesteryear but really delicious. They reminded me of pignoli cookies without the pine nuts and the almond paste. And I really like them without the chocolate coating. Now if these florentines are not rocking your world, no problem. Here’s a list of some cookies that might be added to your Christmas cookie list. Cooking on the Weekend’s double chocolate peppermint cookies. Place slivered almonds in a food processor and pulse until coarsely chopped. Place almonds, vanilla and flour in a bowl and mix. Place cream, sugar and butter in a sauce pan and heat until it boils. Boil for about a minute. Take mixture off the stove and add almond mixture and stir until incorporated. Place one inch dollops of the dough on a sheet tray lined with parchment paper. Leave enough room between because these cookies spread. I did three across and four down. Oh that’s so sad! I can imagine that wasn’t a very good day to lose your car, recipe books AND a great parking spot all at once, Judy! These Florentines look fab! Thanks for sharing my cookies, too! Christina losing the cookbooks started me on a different path that lead me to LA. If I had to lose a few things on the way it was well worth it. I love this story. It’s so Judy, the charming and interesting woman I know. I went right into my cookie tin and pulled out your Florentine. I picked up one with chocolate at the Food Bloggers Los Angeles cookie swap.. Wished I had picked up a few more. It is out of this world. Buttery, crunchy, nutty, chocolate. Like the almonds in it. Just printed out this recipe for next year’s cookie class. Thank you for this delicious moment! Cathy so glad you enjoy my stories. OK, I’m here, chuckling about your story (so verrrrry Judy! ), and printing the Florentine recipe. Going to make it today for T-giving. 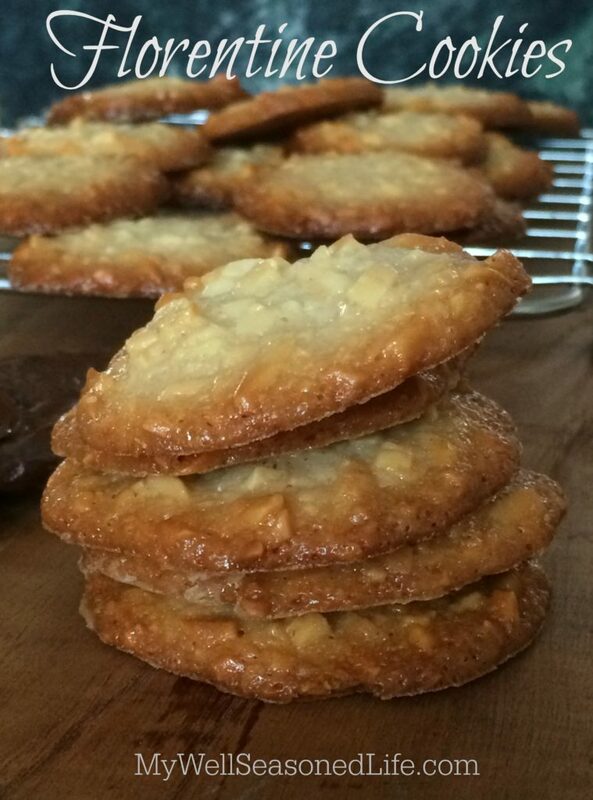 Thanks for including my Pignoli cookies in your recommendations…I had forgotten about them! Judy, I don’t think I ever heard that story. All life lessons led you to make fabulous foods. And I have tasted many of them. All Good.